Does your elf surprise the kids each morning? Does she find creative hiding spots or engage in playful narratives? 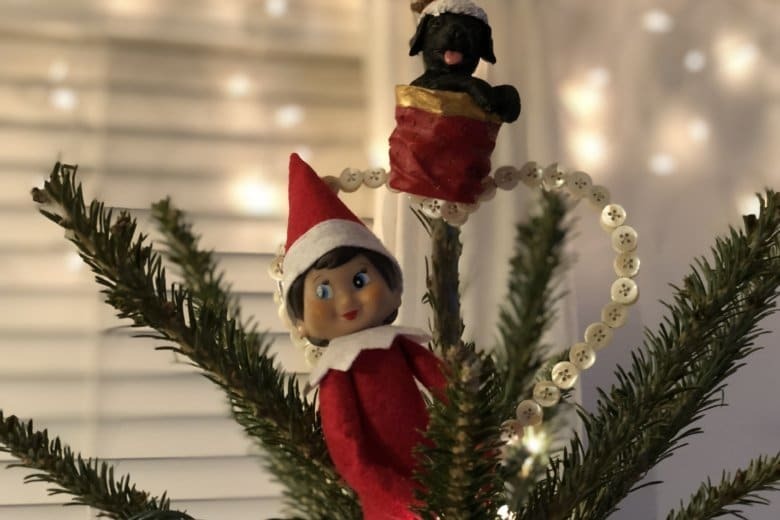 Share your Elf on the Shelf photos and ideas. WASHINGTON — Waking up in a cold sweat — sometimes multiple times a night — is the norm for me. As a working parent of two young children, the mental to-do list doesn’t stop for sleep. But these days, my middle-of-the-night wake-ups have less to do with forgotten bills and looming deadlines. Instead, I’m busy trying to remember where I last saw Cement Mixer. Was she on the bookshelf in the living room? Over the mirror in the entryway? Did she even move from the dining room table, where she sat two nights prior? Right after Cement Mixer’s arrival, she would pop up on the bathroom sink during tub time and sit on the window sill during the morning rush — just to soak it all in. “She is watching you,” I’d tell the toddler with those “I’m serious” eyes. “But I am listening, mommy,” he’d reply. Perfect. This Santa-sent helper was the sugar-free bribe I’d been looking for all along. That is, until Cement Mixer got lazy — maybe “less creative” is a better way to phrase it. She seemed to run out of places to perch and peek in on things. Days would go by and she’d still be in the same spot, slightly more slouched than her previous posture. That’s when I realized the North Pole sent us a dud. Other families have elves that hang from doorways, build Legos with dinosaurs and bathe in mugs of hot chocolate, topped with marshmallows. They get into bags of M&M’s, draw Minions on banana peels and slide into the silverware drawer. “So this is how it’s done,” I said to myself. You see, Cement Mixer is not just new to our family; she is new to me. The North Pole only started deploying its pint-size helpers 15 years ago, and since then, more than 11 million families have adopted the holiday tradition. Now we’re one of them, and I’m realizing that both Cement Mixer and I need a lesson in scout elf magic — and mischief. Does your elf surprise the kids each morning? Does she find creative hiding spots or engage in playful narratives? Share your Elf on the Shelf photos and ideas — for all the new (and lazy) parents out there.